Prinston Media is the parent company to several web sites. These web sites are exclusive to Prinston Media and are run by our webteam. In addition to our in house web sites, we have partner sites we are very proud of being a part of. We also have a porfolio of sites we have created for our clients. We have a keen understanding of social media marketing and have used social mediums such as Facebook and Twitter to expand our branding potential. The websites below are owned and operated by Prinston Media. For advertising information please click here. 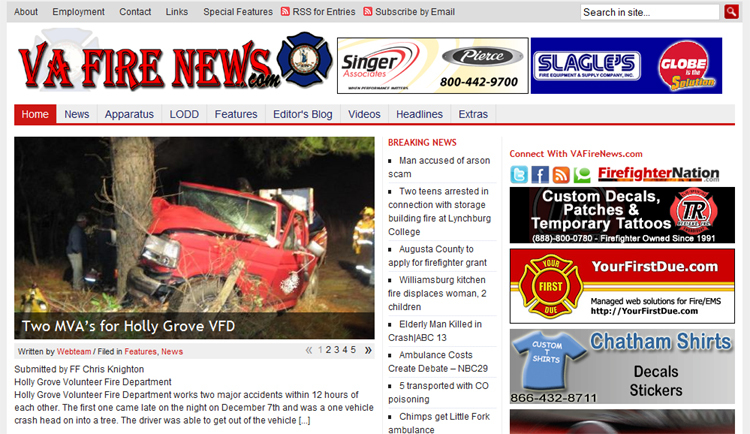 VAFireNews.com – The first of several websites created for Virginia’s Fire and EMS Community. This site has been online for several years. After a complete overhaul and redesign, we started new in November 2008. 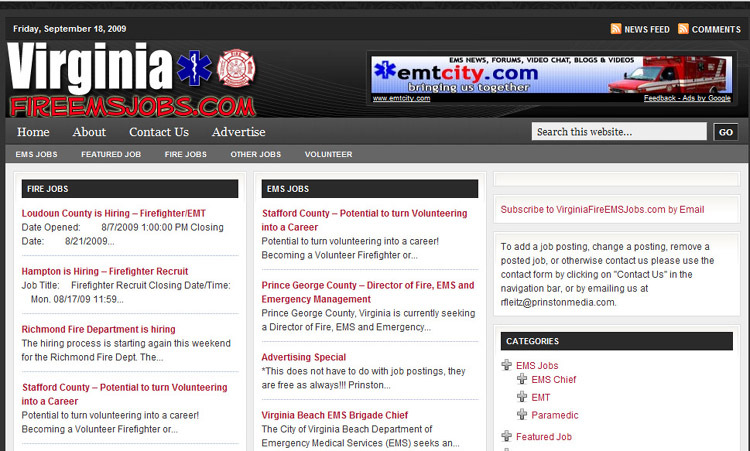 VirginiaFireEMSJobs.com – This site was a natural spinoff once we created VAEMSNews.com. We decided it would be easier to post all of the jobs in one place instead of on multiple sites. The site is popular for fire and EMS potential new hires and others looking for a job in Virginia. 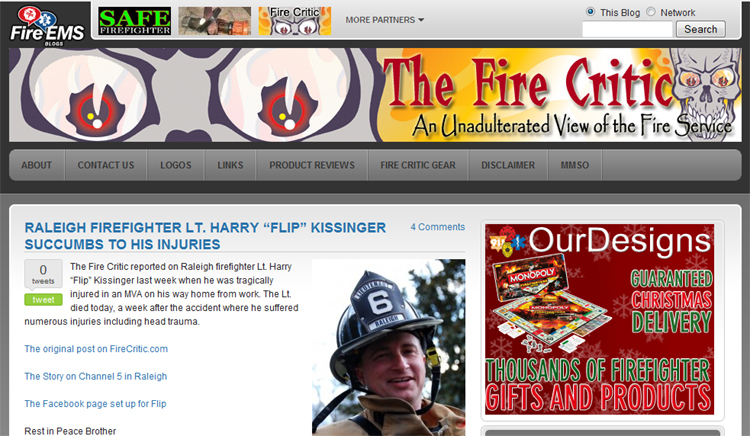 FireCritic.com – The Fire Critic is a new age fire/EMS service blog that has been online since June 2009. The site has seen record increases in traffic since its inception. 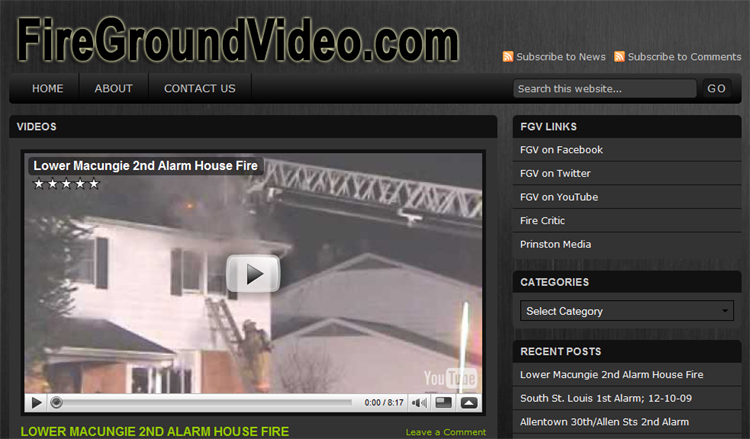 FireGroundVideo.com – The website syndicates videos from around the world related to the Fire/EMS Service. We have capabilities to host your videos and are willing to do so. However, most of our videos are merely syndicated from sites like youtube, liveleak, and google videos.